Volunteerism is a concept yet to be imbibed in this clime. Not too many Nigerians have embraced it as a culture and way of life; Yet, in it lies huge benefits that young people could leverage to build successful life-long careers. The Knowledge Exchange Centre (KEC) since its inception in 2015 has been engaging volunteers to support some of its projects. From our interaction with many young graduates, we discovered that a lot of them believe that they are unemployed due to lack of experience. The sad side of it is that quite a number of them fail to see volunteering as an avenue to gaining work experience. We, therefore, decided to broach the issue during our 2nd Mentorship series tagged, “Building Your Capacity Through Volunteering – A means to get your dream job.” Two young dynamic speakers who have massive experiences in volunteering were part of the panelists. They shared personal experiences about how they made headways in their careers through volunteering. 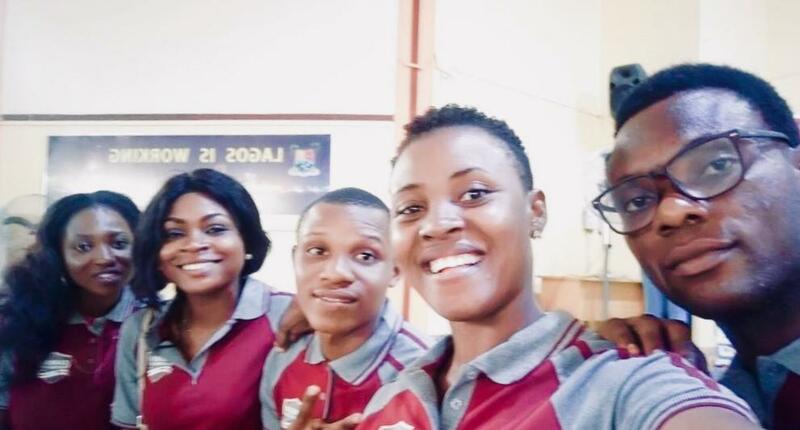 Abel Egbemhenghe gained Sales and Marketing skills while volunteering for Utiva, a company focused on building capacity for university students. He was able to apply these skills to earn some income to pay his way through to 400 Level at the Lagos State University, Ojo. As a final year Chemistry student, Abel is the Utiva Campus Lead and he already knows what career path to choose upon graduating from university. His testimony is one of sheer determination and a dogged commitment to adding value through volunteering. He is never idle but works during his spare time if he is not studying. Abel earns much more than most graduates who are currently working. Oluwabukolami Faniyi, the 2nd speaker is a young dynamic Human Resource professional. She shared how she focused on gaining HR skills and adding value to the company as a volunteer. Apparently, she had applied for a human resource position in the same company but was not shortlisted. She jumped at the opportunity to volunteer when the opportunity presented itself and Bukolami ended up getting the position she initially applied for through volunteering. Miss Faniyi has grown her career through volunteering and she is on her way to a Management position. She currently provides HR consultancy services to another company. It is important to also note that volunteering could help you decide on a career path to choose if you are confused about choosing one for yourself. It would give you the flexibility to try out various careers before settling down for one. Identify what you want – The first step in choosing the right career is that you must know what you want to do with the rest of your life. Do you want to be a Human Resource Professional, An Accountant or an Entrepreneur? Even if you do not know, your passion or talents are good pointers to help you identify what you want. Use volunteering as a tester– you may discover that your perception may be different from reality. Choose volunteering opportunities wisely! Identify the skills and knowledge gaps- The next thing you would want to do is to identify the skills and knowledge deficiencies you have in the area of your choice. Identify ways to fill the gaps – There are several ways you may choose to bridge the gaps. Volunteering is a good way to gain experience and skills. Other ways could be training. There a myriad of credible free online courses. Find one relevant to your field. Attend conferences/workshops/seminars, join a professional association etc. Identify the sector/Industry, the company/organisation – Identify where you would like to gain your volunteer experience. The internet is always a good place to start. Platforms such as LinkedIn cannot be overemphasized. Also, research using online and offline platforms such the company’s website, professional journals/magazines, newspapers and other secondary resources. Send Application – The next step is to send in your application. It should be addressed to the appropriate personnel,if possible. Applications addressed by name to the appropriate person is preferable. In the occasion, you are unable to find the name of the officer in charge of recruitment, the rule of thumb is to address it to the “Head of Human Resources”. Wait for a Response - After sending your application, wait for a response. While waiting, you should follow up intermittently, but be careful not to become a nuisance. Be Consistent – You must be consistent and persistent in whatever you do. I must mention that there are many other reasons why you must volunteer beyond economic – it could also be for social and emotional reasons. As a young graduate, whatever reason you may have for volunteering, make sure it is strategic and it should be able to help put your future in perspective.